Professor Matthew K. O. Lee is Vice-President (Development and External Relations) of City University of Hong Kong (CityU). He holds a tenured position as Chair Professor of Information Systems & E-Commerce at CityU. He was Associate Dean (2001-2006, 2007-2011) and Acting Dean (2006-2007) of the College of Business, CityU, and the founding Director of the CityU DBA Programme. Professor Lee was also Head of Department of Information Systems (1995-2001) and Director of Communications and Public Relations (2009-2015) at CityU, and the Residence Master of Jockey Club Harmony Hall at the CityU Student Residence (2005-2011). He was previously a faculty member at University College London (UCL), and a staff scientist at BP Research headquarters in London. Professor Lee holds a first class honors bachelor’s degree in electronic engineering, an MSc in software engineering, a PhD in computer science, an MBA, and two law degrees. He is the recipient of a number of prestigious University scholarships, including a College Scholarship from Oxford University where he read for one of his degrees. He has also completed the Internet Law Program at Harvard Law School. Professor Lee is a qualified Barrister-at-Law in both Hong Kong, England & Wales, a Chartered Engineer (UK Engineering Council), and a professional member of the British Computer Society. 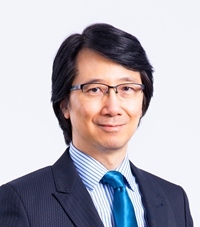 Professor Lee has a research and professional interest in IT based innovation adoption and diffusion (focusing on systems implementation management issues), knowledge management, electronic commerce, online social networks, and legal informatics encompassing the legal, ethical and policy aspects of information technology. He is a member of the Hong Kong Committee for Pacific Economic Cooperation (HKCPEC) advising the Secretary for Commerce, Economic and Development (SCED) on relevant economic and cooperation matters. He is also an independent non-executive director of two major IT enterprises listed in the main board of the HK Stock Exchange. Professor Lee was a member of the Hong Kong Research Grant Council (RGC) Business Studies Panel (2009-2014), and an Appeal Board member under the Unsolicited Electronic Messages Ordinance. He was a founding vice-chairman of the Hong Kong Computer Society e-Business Special Interest Group and served as a member of the IT Training Committee of the Vocation Training Council. Professor Lee had also served on the IT Projects Vetting Committee of the Innovation and Technology Commission for many years. Professor Lee has published over one hundred refereed articles in international journals, conference proceedings, and research textbooks. He is the Principal Investigator of a number of prestigious competitive grants and has published in leading journals in his field (such as MIS Quarterly, Journal of MIS, Communications of the ACM, International Journal of Electronic Commerce, Decision Support Systems, Information & Management, and the Journal of International Business Studies). His work has received numerous citations in the SCCI/SCI database and Google Scholar. Professor Lee has served as Associate Editor and Area Editor of the Journal of Electronic Commerce and Applications (Elsevier Science) and the International Journal of Information Policy and Law (Inderscience) and served on the editorial board of the Information Systems Journal (Blackwell Scientific). He has also served as a special Associate Editor for MIS Quarterly and the Information Systems Journal.